INVEST—what? The product owner is not applying the INVEST principle by Bill Wake to user stories. Planning meeting: The product owner hijacks the stand-up to discuss new requirements, to refine user stories, or to have a sort of (sprint) planning meeting. Admittedly, the product owner role is the most challenging scrum role, and the higher the expectations are, the easier it is to fail them. Nevertheless, the concept of continuous improvement also applies to exercising the product owner role. 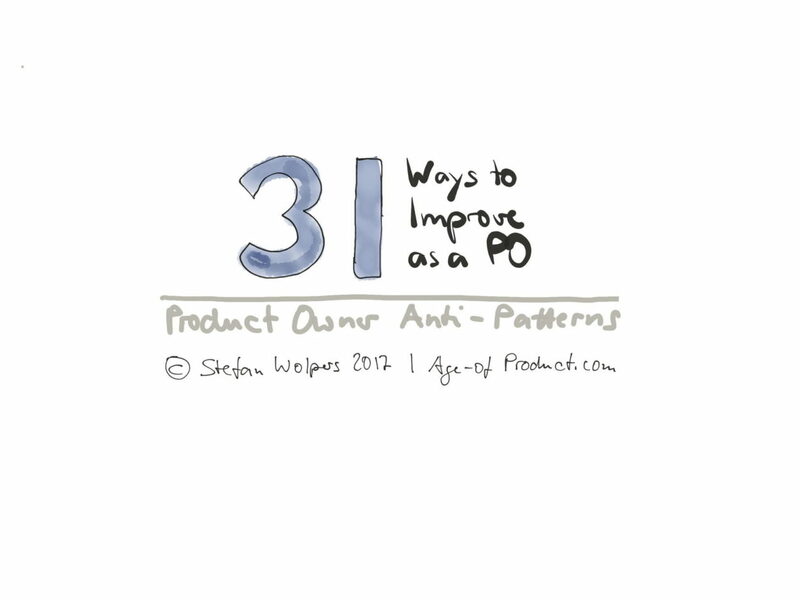 The list of product owner anti-patterns above may be a starting point. 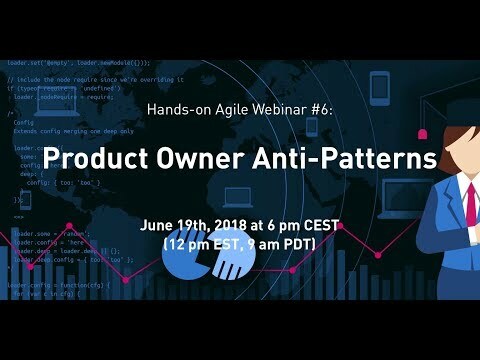 What product owner anti-patterns have you observed that are missing in the list? Please share with me in the comments. Hi Stefan, Thanks for this list and all the anti-patterns you are enumerating to help judge where a team and organization are. I have some questions about the size and information in the product backlog. You say that no more than 3-4 sprints worth of stories is the maximum in the product backlog. Do you mean refined stories that have been sized of split to typical size or any story even high-level ones? I believe that it s acceptable to have more than that as long as the going beyond say 2-3 sprints out are stories only a high level that have the story goal and maybe one or more ACs. For example, we doing 7 sprints of work in our release. We try to have somewhere between two or a little more sprints worth based on typical throughput refined at all times. The stories were created either by a story writing workshop or story mapping review to create a minimum viable solution for our desired business outcome. This gives us a road map and tracking to see if our guess of what will fit is in the general area. We adjust as we go to deliver on time. What issues do you see with this approach? It seems to be working pretty well. I agree that a PO may not always be able to order the backlog without help from a SME. However, my take at this point is that the responsibility should fall in one person – the PO. They may do it together with the System Architect but the final approval should come from the PO. The PO needs to understand the thinking behind the ordering so that they are able to respond any questions coming from stakeholders. PO wouldn’t change anything, because it’s the way it is and it’s better to be pragmatic. This is the most comprehensive list of anti patterns I’ve seen, so thank you. I must disagree about a few things. Mainly Prioritization by Proxy and Over Sized. For the first one, sometimes, the PO needs help from someone else who knows better. Example, if we are at a point in which we are building elements of the system architecture, and the System Architect may be the person taking on the role of prioritizing what elements should be build when. The second: the PBL should have every story that relates to every known release. Unless, we are talking about thousands and thousands of stories. Even then, the team should be using a tool to manage the backlog, and tagging releases (1, 1.1, 1.2 etc.) would make it easy for the team to focus. Wiithout having every story – at least of the first release, the product vision will be blurry.